Colby Sharp, Travis Jonker, and I met for breakfast in Michigan City, Indiana, to discuss books and film Newbery Challenge videos. Watch out for the shark, Mr. Schu! Mr. Travis Jonker is on a mission to give every Newbery Medal-winning book a new cover. He designed the cover on the right. 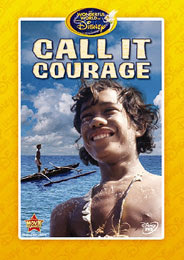 Walt Disney's Wonderful World of Color released Call it Courage on April 1, 1973. Have you ever watched it? 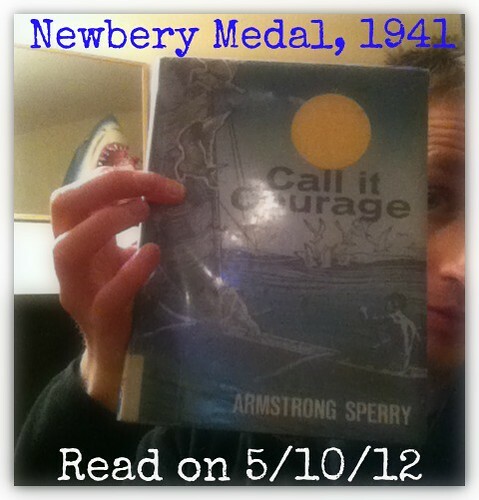 Borrow Call it Courage from your school or public library. Whenever possible, please support independent bookshops.